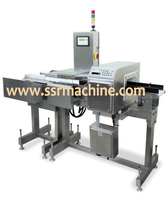 Highly accurate in motion weigh and reject equipment is offered with several weight indicator and line speed option. 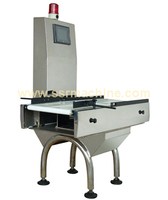 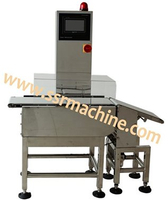 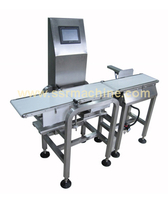 SSR Check-weigher can handle various pack type including bags, tray and cartons. 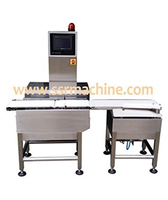 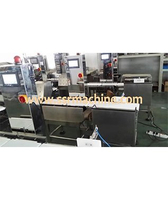 SSR Check weigher ensure consistancy of pack weight and automatically reject bags, tray and cartons that do not fall with in specified limits set in high & low settings. 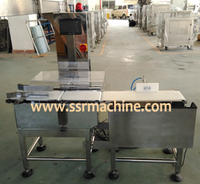 Rejection can be done using various methods like, Flip Bars, Drop Belt, Pusher, Air Blast, etc. 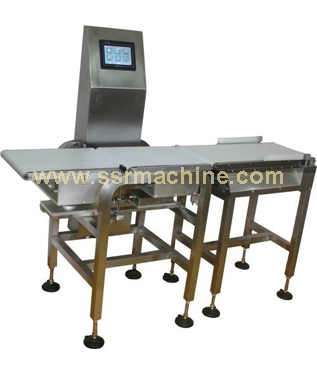 2 Weighing range * 20kgs Max.